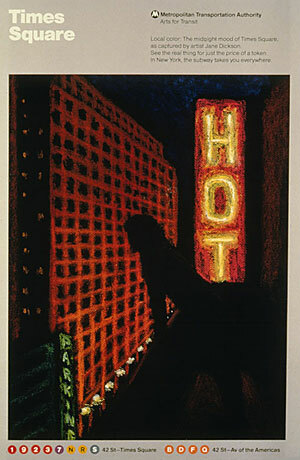 "Local color: The midnight mood of Times Square, as captures by artist Jane Dickson. See the real thing for just the price of a token. In New York, the subway takes you everywhere."